Binn Group provides a comprehensive waste collection and recycling service for the agricultural community. Our experience means we recognise that the agricultural sector generates a significant quantity of plastic and polythene from polytunnels, silage wrap, old tyres, fertiliser bags and feed product bags. Binn Group can provide a comprehensive waste collection and recycling service for all agricultural waste, helping to ensure you are compliant with waste regulations. 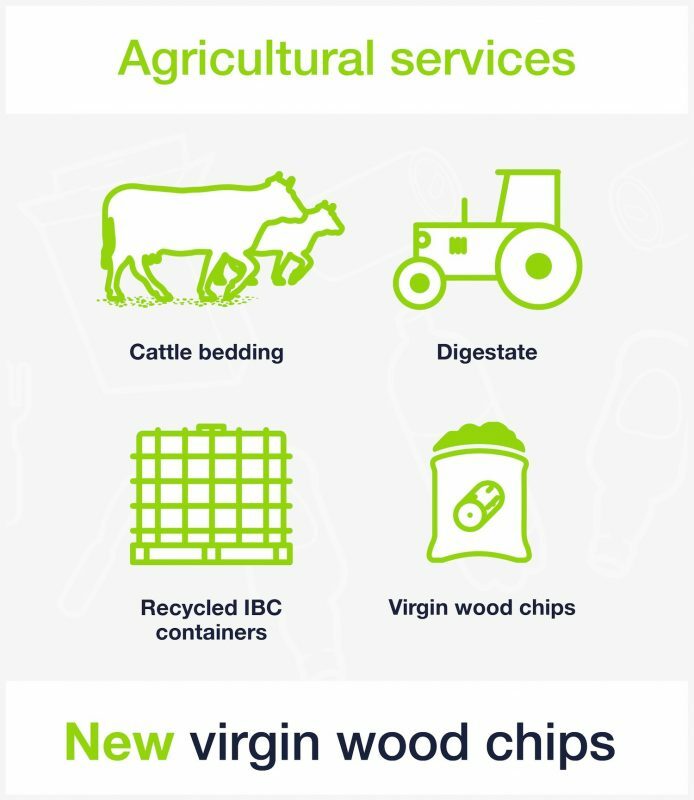 In addition to providing and uplifting a wide range of waste within the agricultural sector, Binn Group also supplies recycled wood fines, bedding and virgin wood chip. We can deliver throughout Scotland and these products are suitable for beef and dairy cattle, sheep, poultry and equine. Binn Group can also supply digestate, a nutrient-rich by-product of anaerobic digestion of food waste, which is suitable for fertiliser. Studies have demonstrated that the use of digestate improves the sustainability of farming by reducing the emissions of greenhouse gases which are associated with fertiliser manufacture, and by reconnecting nutrient cycles*. Binn Group sells Recycled Intermediate Bulk Containers, which are ideal for use as water storage for livestock. Subject to availability. We are also able to provide recycled aggregates for the construction of new road bases, access tracks or hardstanding. 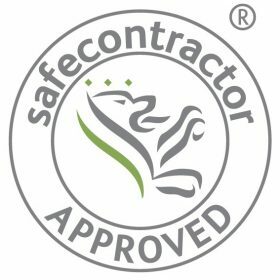 Our BSI PAS 100 standard compost ensures you recieve a safe, reliable and high-performing product. Looking for an optimum waste management programme?  Our experienced team work closely with all clients to create and manage the optimum waste management programme, ensuring compliance with legislation and value for money.